I know readers of this site are all fans of Lil Pump—rapper of course—who has made enough to wear a $100,000 ring to Topgolf. But not enough apparently to take it off and pay someone to hold it while he swings away at golf shots. Not to worry though, this craftsman of the English language has been reunited with his bloated rock. Somewhere, desperate-to-reach-the-kids golf organizations are jealous. 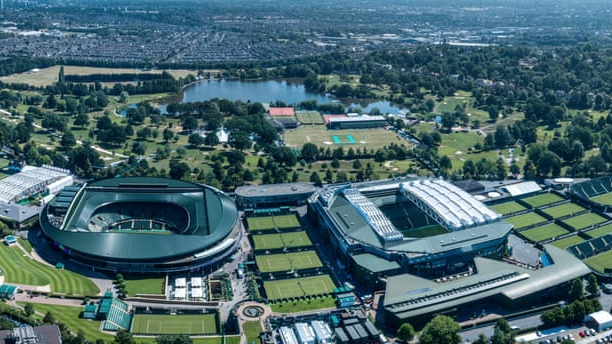 The Guardian’s Kevin Mitchell reports on Wimbledon Park Golf Club members accepting a huge offer to sell their course to the neighboring All England Club. The course is already used during the fortnight and would see further expansion of the tennis grounds if the deal goes through. Naturally, the final decision yielded a Brexit reference. Fast forward to this week where Dixon, serving 39-to-life, had his murder conviction vacated after Golf Digest’s story and several others worked to get Dixon freed for a crime he insisted he did not commit. Adler’s follow up piece on Dixon, who served 27 years. Although Dixon has never hit a ball or even stepped foot on a course, the game hooked him when a golfing warden brought in a photograph of Augusta National’s 12th hole for the inmate to render as a favor. In the din and darkness of his stone cell, the placid composition of grass, sky, water and trees spoke to Dixon. And the endless permutations of bunkers and contours gave him a subject he could play with. It's been too long. With slow play fights leading to severed digits and other bleak news in the world, we are faced with the FedExCup and it's completely moribund format as a diversion. Thankfully a wee critter has come along to give us hope for humanity. Or, at least for young animals. A Tonya Harding Incident Comes To Golf? Ryan Lavner at GolfChannel.com explores the antics at the Florida Mid-Amateur. Let's just say the caddyshack at Streamsong will be pretty lively! Then it gets appreciably worse, as an unbylined AP story notes of Grandview Golf Club apologizing to a group of five black women--known as Sisters of the Fairway--who were harassed by the course co-owner and his father for not playing fast enough. At the second hole, a white man whose son co-owns the club came up to them twice to complain that they weren’t keeping up with the pace of play. Thompson, an attorney and the head of the York chapter of the NAACP, told the newspaper it was untrue. On the same hole, another member of the group, Sandra Harrison, said she spoke with a Grandview golf pro, who said they were fine since they were keeping pace with the group ahead of them. Despite that, the women skipped the third hole to avoid any other issues, she said. Thompson said the man from the second hole, identified as former York County Commissioner Steve Chronister, his son, club co-owner Jordan Chronister and several other white, male employees approached the remaining two women and said they took too long of a break and they needed to leave the course. Rex Tillerson, the former Secretary of State and Augusta National member who has not been seen publicly since his firing last month by President Donald Trump, will resurface at this week’s Masters in a "working" capacity. According to four sources privy to conversations between Tillerson and new Augusta National Chairman Fred Ridley, the former Secretary volunteered for "just about" any committee role. Tillerson has told friends “that any job would be better” than the one he just held for a year, including working on the media committee. Berckmans Place is the club’s $6000 a ticket, all-you-can-imbibe luxury pavilion opened in 2012 and spearheaded by Chairman Billy Payne as another patron experience opportunity. Tillerson will share meet-and-greet duties with another former Secretary of State and member, Condoleeza Rice. Current USC Athletic Director Lynn Swann is also a regular Berckmans presence. “Having Rexy join Condi down there allows Berckmans patrons to ask probing questions about our most hostile foreign powers," said another member. "How cool is that?" Another club source said part Tillerson's transition to non-government life, which has included getting re-acclimated with flying on Gulfstream V's and VI's, will be a special gesture from Chairman Ridley. While it's not normal practice, the Chairman is allowing the former Secretary to leave two patron badges for Jared and Ivanka Trump at Will Call. The badges have been deactivated and anyone trying to use them would be subject to arrest by the Sheriff. "Rex is pretty beaten down, but the Chairman thinks it might even lift his spirits to passive-aggressively leave badges for 'Jarvanka.' It's a key component of Rex's Acceptance and Commitment Therapy program." Lydia Ko has a grander goal in mind than returning to No. 1 in women's golf: establishing herself as a reality television star. Barring a setback like winning a major or a Race For The CME Globe, the former World No. 1 expects to channel her passion for hiring and firing into a business. “We’ve got a great plan going forward,” Ko said when contacted about a pitch document leaked on a Reddit community forum. “It really just allows me to monetize what I do best: firing caddies and coaches." Ko admitted that her virtually annual process of changing caddies and coaches has been cumbersome and at select times, stressful. Ko says she was inspired to pitch Golf Channel on her idea thanks to Donald Trump's rise from reality show host of The Apprentice to the presidency. Ko has penciled in the fourth quarter of 2018 to film the first pilot for "The Caddy Apprentice," where the golfer will conduct a contest to be her next looper as cameras record the interview and audition process. Former instructor David Leadbetter is expected to replace current instructor Ted Oh by then and will serve as a sidekick, though Ko said that could change three or four more times. Ko admitted to being oddly comfortable at the thought of replacing current caddie Jonny Scott with cameras rolling. 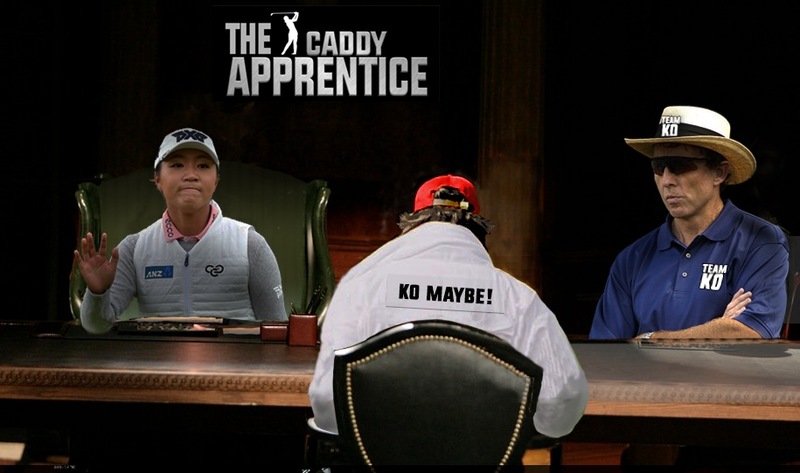 Besides Mackay, Ko hopes to lure caddies Fluff Cowan, Steve Williams and a hologram of Herman Mitchell for season one, though she hasn't worked out how Mitchell would actually carry her bag. Ko already has written a pitch for The Swing Instructor Apprentice. "Eventually there will be two shows running concurrently if all goes well and we can consolidate the production. There are so many people to fire. This is so much more fun than playing!" Ko denied any plans to fire equipment supplier PXG and its founder Bob Parsons. "Not yet, but the tax implications of all his free gifts have started to become a pain." 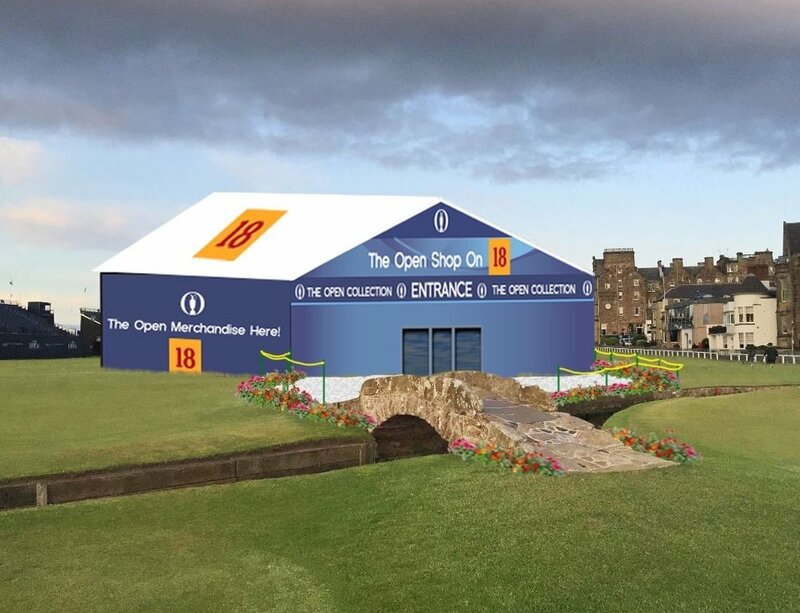 Following backlash for covering over golf’s most historic storefront in the name of selling Open merchandise, the R&A and St. Andrews Links Trust have quietly squelched ambitious gift shop expansion plans. Sources close to R&A Chief Executive Martin Slumbers and Links Trust CEO Euon Loudon say the leaders were caught off guard by outrage surrounding their decision to smother the historic Tom Morris storefront signage with The Open’s logo. The same storefront that Bobby Jones sought refuge in after winning The Open, and where golf architects like C.B. Macdonald, A.W. Tillinghast and Donald Ross were inspired. "We're just trying to grow the game and slow down the damn ball!" Slumbers could be heard yelling to Loudon as they bemoaned golf tourists during a meeting at a St. Andrews coffee shop. Out of their get together came a top secret agreement to put Open merchandise satellite shops on hold, including Slumbers' ambitious plans to erect one on the 18th fairway. "Slumbers took inspiration from Peter Dawson and thought they could slow down drives on 18 by making it blind, ala the Road hole," said an R&A staffer. "Then he figured, 'while we're at it, why not sell some nice Open chotskies too.'" Images obtained for the planned Swilken Bridge satellite shop suggest the additional retail location would have been hawking Open-branded trinkets, caps and other gear as golfers cross the centuries-old landmark while blocking clubhouse views. Multiple sources confirmed other planned locations for conversion into Open merchandise shops included the lighthouse at Turnberry, a turf island on Muirfield’s 18th greenside bunker and the Cavern Club in Liverpool. The R&A refused comment on those plans but did issue a statement denying rumors of a merchandise shop floating through Carnoustie's Barry Burn during this year's Open. No one should underestimate the popularity of Topgolf and given that they fill arenas now to watch people play eSports, I like its chances of engaging and showing another side of golf. The Shotmakers team names sound like cultish Crossfit wannabes or strip clubs, but hey, there are only so many names you can grab without getting sued these days. ORLANDO, Fla., (March 12, 2018) – Shotmakers, an innovative new golf competition where precision shotmaking meets intense strategy in a fast-paced format, was announced today. Premiering Monday, April 9 at 9 p.m. ET on Golf Channel, Shotmakers will feature the fun, social experience for which Topgolf is known, blending entertainment, golf and technology throughout the competition. The announcement was made today by Phil Piazza, Golf Channel senior vice president of programming and Topgolf Media President YuChiang Cheng. Shotmakers is co-hosted by 3-time college national player of the year Amanda Blumenherst and golf host Shane Bacon, along with Golf Channel reporter Chantel McCabe and social media correspondent Alexandra O’Laughlin. Shotmakers will feature seven rounds of competition airing two nights a week– Monday and Tuesday nights – at 9 p.m. ET beginning April 9 and concluding April 30. The series will also be distributed across Golf’s international platforms, airing in more than 60 countries worldwide. SUSANA BENAVIDES (27, Cochabamba, Bolivia) Professional golfer, only Bolivian-born golfer to compete on the LPGA Tour, former top-ranked amateur in South America. TOMMY BIERSHENK (44, Greenville, S.C.) Former PGA TOUR professional, two-time All-American at Clemson University, golf course owner. TANIA TARE (29, Auckland, New Zealand) Professional golfer, trick-shot artist, record-holder for lowest single round while competing for Florida International University with a 63. MAURICE ALLEN (36, Pine Hills, Fla.) Former World No. 1 World Long Drive competitor, 3-time World Long Drive winner, All-American at Florida A&M in track. VICTORIA LOVELADY (31, Sao Paolo, Brazil) Professional golfer currently competing on the Symetra and Ladies European Tour, Olympian who represented Brazil in 2016 Rio Olympics. ROBBIE BIERSHENK (41, Greenville, S.C.) Driving range owner, former mini-tour player, featured on Golf Channel’s Chasing the Dream series. KENZIE O’CONNELL (26, Denver, Colo.) Golf teaching instructor, Women With Drive ambassador. CHAD PFEIFER (36, Caldwell, Idaho) Professional golfer, decorated U.S. Army Corporal (retired) who credits golf saving his life, two-time Warrior Open champion, amputee (lower leg). CHRISTINA LECUYER (35, Conway, Ark.) Professional corporate/charity golf host and media personality, two-time All-American from the University of Central Arkansas, former professional golfer. MATT COUSENS (26, London, England) PGA teaching professional, 2017 Topgolf Tour Championship runner-up with fellow Shotmakers competitor Brad Barnes. NIKKI BONDURA (25, Sacramento, Calif.) Golf lifestyle blogger, co-owner of Women With Drive. BRAD BARNES (23, London, England) 2017 Topgolf Tour Championship runner-up with fellow Shotmakers competitor Matt Cousens. TISHA ABREA (24, Murrieta, Calif.) Professional golfer competing on the mini-tours in 2018, co-owner of Women With Drive. JAMIE PUTERBAUGH (33, Carlsbad, Calif.) PGA of America professional and teaching instructor, 2016-17 Topgolf Tour Championship finalist with fellow Shotmakers competitor Peter Campbell. HAILEY OSTROM (24, Phoenix, Ariz.) Professional golfer currently competing on mini tours. ANDREW BACHELDER (36, Fort Worth, Texas) 2015 Warrior Open champion, decorated U.S. Marine Corps Sergeant (retired) who credits golf with saving his life. CHELSEA PEZZOLA (25, Scottsdale, Ariz.) Professional golfer, standout junior golfer at IMG Academy, two-time Academic All-Big Ten at University of Michigan. PETER CAMPBELL (33, Carlsbad, Calif.) Former PGA TOUR professional, golf instructor, 2016-17 Topgolf Tour Championship finalist with fellow Shotmakers competitor Jamie Puterbaugh. One of the world's best music producers is also a golfer who is old enough to have seen Ben Hogan during his Shady Oaks days. Michael Bamberger of Golf.com speaks to the legendary T Bone Burnett about his youth in Fort Worth and his views on the game. "Hogan would sit in the clubhouse at a table in the window above the range. It was always a possibility that he would be watching the cats out there trying to dig a swing out of the dirt. You got used to that. "But some days, you would be hitting balls on the range and suddenly feel a presence behind you. You would look back and Mr. Hogan would be standing there looking at you. You would turn back around and try to forget he was there and keep hitting balls. After a few shots, maybe a particularly solid one, you would look again, and he would have vanished." What a shame to lose the gregarious sports (and golf) loving San Francisco Mayor Ed Lee to a heart attack. The man loved his golf, was instrumental in numerous events coming to the Bay Area and was looking forward to more. I'll never forget chatting with him during the 2012 U.S. Open as he walked inside the ropes, watching the golf as an avid fan. The SF Chronicle's Ron Kroichick remembers the Mayor in two pieces, including one on Lee's love of sport, and this one on his love of golf. The Mayor was a strong supporter of saving Alister MacKenzie's embattled Sharp Park design as well. San Francisco Public Golf lost a great friend. **Alex Podlogar with the story of how Joe Morris came up with this idea. Morris cut away the back of the box to give his legs some room, and then cut the pants to shorts’ length to bring the illusion together. But whenever he solved one issue, another would seem to pop up. It was also Monday night. Halloween was Tuesday. Morris managed to pull it all off, though admittedly remained pretty light-headed from the spray paint. He took his costume to work in pieces, leaving much to be desired once he got to the office. Now I know it's been a rough patch for golf of late, what with OJ Simpson rushing to get a club in his hand within hours of leaving prison and an assortment of other shady characters attaching themselves to the royal and ancient game. But look at the case of actor Christopher McDonald. With a mile-long oeuvre that includes roles in Thelma & Louise, Fatal Instinct, Unforgettable and even television roles on Boardwalk Empire and Law & Order, McDonald could have name-dropped none of those award-worthy artistic vehicles. Instead, after crashing his Porsche in Lake Arrowhead, he touted his work in Happy Gilmore to the arresting officers. TMZ says the officers weren't impressed to be in the midst of Shooter McGavin. I believe in this time of crisis and irresponsible living (this is DUI 2!) which should get him forbidden from ever driving a car again, we still need to support McDonald for not shying away from the game he clearly loves (and still earns nice residuals from). You can set a reminder and get a preview here of Major League Baseball Commissioner (and big golf nut) Rob Manfred appearing on this week's Callaway Live, obviously recorded just prior to the Commish's busy time of year. The show debuts at 6 pm Pacific Tuesday and can be viewed on YouTube any time after that. Julian Bennetts of the Telegraph writes about the par 14,000, 2,000km Mongolian golf hole Adam Rolston played with friend Ron Rutland tagging along--joined by a stray dog for the last 1500km--and all for a good cause. The goal was to set the Guinness record for longest hole played. Mongolia was the setting. The idea was to finish on the 18th green of the one golf course in the country, and to tee off from the western most point of Mongolia. He calculated it would take him 14,000 shots - and set that as his par. Rutland agreed to be his caddie, and eight months later, they were raising money for Laureus, which runs children's sports charities worldwide, and were at the base of Khüiten Peak, the highest as well as the most western point of Mongolia. “We have had dozens of people telling us we were mad or crazy, with comments ranging from: ‘That’s impossible” to ‘Do you not have anything better to do?’” says Rolston, who hails from Northern Ireland. “That first week was the hardest of my life. To get to the first tee we had to take a Russian jeep through a national park for five hours. From there, it was ridiculous." If you didn't hear about Jake Olson snapping the ball for his USC Trojans Saturday, you'll want to check out Bill Plaschke's LA Times take on the blind athlete who lost his sight due to cancer. ESPN's Kyle Bonagura also included this piece and some great post game interview embeds. And if that's not enough inspiration, this piece from not long ago by Shelley Smith catching up with the young cancer patient she covered before learning she had cancer, is a definite must. Great to see a legend--maybe the biggest name yet--to try out a Topgolf. Now, about those jeans...what is it with these Stanford guys and their denim? "Stephen Curry, the golfer: As comfortable on links as on court"
Steph Curry tees up in this week's Ellie May Classic, a Web.com Tour event and Ron Kroichick of the San Francisco Chronicle profiles the basketball stars' passion for golf. In competing against those players for the first time, Curry will climb into uncharted territory. This is completely different than his good-natured outings with famous friends, from former President Barack Obama and Michael Jordan to Tom Brady and Justin Timberlake. Last month, during the American Century Championship, a celebrity tournament near South Lake Tahoe, Curry at various times played alongside Timberlake and NFL quarterbacks Aaron Rodgers and Tony Romo (since retired). Their rounds included several playful moments, such as Curry catching footballs thrown by Rodgers and Romo. Beneath the frivolity, Curry took his golf seriously. He shot a final-round 68, the best score any player posted in the three-day event, and finished fourth in a field of 89. And wearing a construction helmet.